It was twilight when the landscape softens and the light begins to fade. From my window I looked out on purple mountains that gently sloped down to an endless expanse of sparkling lights. The plane glided in to a gentle landing and I stepped out into the softest, warmest air I had ever experienced. I arrived in Los Angeles on January 4th, 1961. I had been a professional writer, living in New York, writing novels and radio scripts and live television. Surely within days I would have assignments from major studies to write screenplays or pilots for television. Right? It was as if writing film was some talent you could possess only after breathing in a certain amount of smog or to have been baptized in the Pacific surf. All the Hollywood studios were telling me the same thing: I was a leaper. With a family to support, no income, and desperate for work, I decided to “enter” The Twilight Zone. I had never written fantasy or suspense type stories. Most of my work had been of a folkish nature, focused on the family, set usually in a rural locale, often in the past...another minus in fast paced, glamorous, slick, suspense-laden stories so typical of Hollywood. 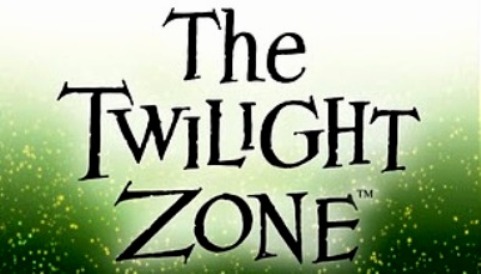 I had originally met Rod Serling in New York City in 1947. Each of us had won awards in a radio script-writing contest and was invited to come to town to be interviewed on the radio by the host of the show. We were both students at that time. Rod was in Yellow Springs, Ohio and I was a student at the University of Cincinnati. After graduation, I became a staff writer at Station WLW in Cincinnati. Once I saved enough money to take time out to write a novel, I resigned the job, which by an interesting coincidence was taken by Rod Serling. Eventually Rod left Ohio for a Hollywood and started writing and producing “The Twilight Zone.” So when it turned out that I was unqualified to write film, in desperation, I decided to contact Rod. I had a script in mind that I had written about a hunter and his dog. Both the hunter and his beloved hound die on a hunt and try to enter Heaven. Hell tries to get them first, but the dog is the one who can see through Hell’s lies and leads his master to the real pearly gates. Having been a fan of The Twilight Zone for a long time, I was happy to hear from Ray Bradbury that you might be on the lookout for new stories. I am enclosing two that might interest you. 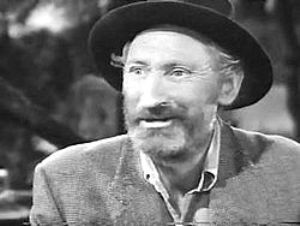 And as a result of that letter, “The Hunt” was aired as a “The Twilight Zone” episode on January 26, 1962 and starred Arthur Hunnicutt, the first of eight of scripts that I was to write for the series. During that time, I came to know Rod Serling and to develop a friendship. I remember our first meeting in his office at the MGM Studios in Culver City. He greeted me warmly and recalled some of the friends we had worked with back in Ohio. He was smoking, and so was I at the time, and we lit up—part of the ritual of the day. We spoke about our first meeting in New York and exchanged some accounts of our personal lives. I remember that our meeting was interrupted from time to time by phone calls that would cause Rod to roll his eyes Heavenward and occasionally raise his voice. After hanging up, he would explain, “Network!” and we would continue the meeting. He did not offer any notes on my story outline. He just said, “Go write it.” After that first script meeting when I delivered my finished script he would simply say, “What would you like to do next? I would describe a new idea and he would say, “Go to it!” At long last I was writing film! In those days, writers were almost never invited to the set to see their scripts being filmed. This practice changed as the industry came to recognize more and more that the whole process began with THE WORD and the producers came more to recognize where those words came from. And Anne Francis who played Jess Belle in that hour-long episode was a good friend until her untimely death this past year. Jeanette Nolan, who did such a fantastic job as the witch in “Jess Belle,” later did a guest star role on “The Waltons” playing a nun for Lord’s sake! And even though he was never in an episode I wrote, it is always fun to run into Earl Holliman at one of our local restaurants or even at the super market. My favorite script will always be “The Hunt.” Not only was it my first assignment in Hollywood, but also in addition the characters were mountain folks and the setting was my beloved Blue Ridge Mountains of Virginia. But most especially, by giving me that assignment, Rod opened the door to a career in film that has been richly rewarding to me and I hope to the audience. 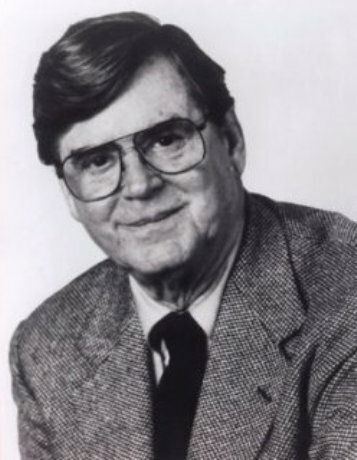 People often ask me how I could write for shows like “The Twilight Zone” when I am primarily a “soft writer” for shows like “The Waltons” and “Apple's Way.” I received that question especially after the TV series “Falcon Crest” began. The answer is, of course, that I am a professional writer. I can write about the lives of many kinds of people; hopefully with objectivity, understanding, and compassion. 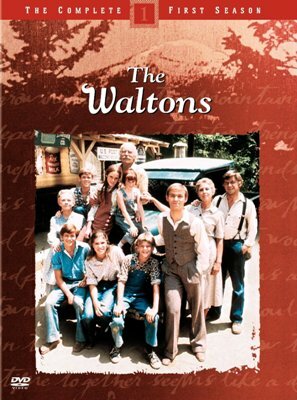 “The Waltons” and The “Falcon Crest” characters were people, and any good writer should be able to write about people, no matter what their walks of life. Now we’re going to get a little melodramatic here, so I’m warning you that I was never shot at during World War II and the most discomfort I endured was suffering severe acrophobia while climbing over the side of a troop ship and down a rope ladder to a landing craft at Omaha Beach. But the invasion of Normandy was well underway the way and I was one of a group of replacements moving along behind the front lines prepared to take the place of some poor GI who had fallen up ahead on the front line. While I was in no immediate danger, I had to face the fact that I had been trained to diffuse land mines and that the life expectancy on such an assignment was is about twenty minutes on the battlefield. Quick footnote: I never reached the front lines. It turned out that a Quartermaster Company in Paris needed someone who could type and I got the job! Each of the characters was based on a member of my own close-knit family and our lives during The Great Depression of the 1930s. It ran for eight years in first run, and even today is seen all over the world in syndication and here at home on three different cable channels. 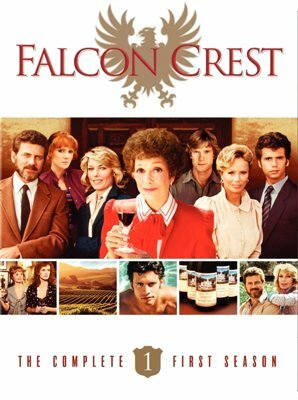 My series “Falcon Crest” fell into that same genre as “Dallas,” a nighttime drama with continuing story lines. My ancestors came from Lucca to help Thomas Jefferson realize his dream of starting a wine industry in Virginia. I suppose wine was in my blood so that after my first trip to the Napa Valley I came home with the series firmly in mind. The stories were often far fetched, but my star, the luminous Jane Wyman, and her equally talented co-stars brought them to life and the series lasted eight years. His short stories have been published in The Strand, Dark Discoveries, The Twilight Zone Anthology edited by Carol Serling, and The Bleeding Edge and The Devil’s Coat Tail from the publishers of Dark Discovery Magazine. Earl Hamner and Jane, his wife of fifty-seven years, live in Studio City and Laguna Beach, California with a bossy pug named Peaches. Their son Scott, who lives in Vermont, is Co-head writer for the daytime series “The Young and the Restless.” Their daughter Caroline is a family therapist and lives with her husband in Laguna Beach, California. 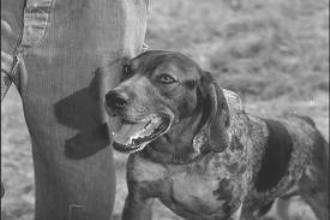 Arthur Hunnicut in "The Hunt"
The dog that knew Heaven from Hell in "The Hunt"